Four housemates were put up for eviction this week, the last eviction before the end of the show which has been exciting all along. The housemates put up for eviction include Bally, T-Boss, Debbie-Rise and Marvis.After the voting, has been evicted at the live show that held tonight. 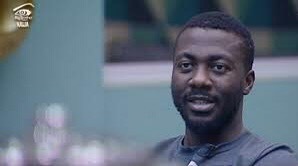 Bally has been evicted from the Big Brother Naija house. 0 Response to "BREAKING: Bally Evicted From The Big Brother Naija House #BBNaija"